Nurses are an essential part of any and every healthcare institution. They play a pivotal role in patient care. Registered Nurses (RNs) are responsible for monitoring and recording patients’ behaviors, treatments and results, carrying out treatments and medications, blood drives and immunization campaigns. They can be found lending their services in the theater and the delivery room. Registered Nurses provide special care, counseling, and support to patients and their families where and when necessary. In some cases, RNs have the responsibility of directing and supervising Licensed Practical Nurses (LPNs), Nursing Assistants (NA), and other Health Care Workers. 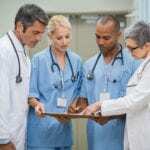 In addition to recordkeeping and patient care, some institutions may require that RNs be responsible for maintaining the inventory level, and placing orders when needed. The job of a nurse is definitely not an easy one, but it is indeed gratifying. Most registered nurses, after attaining their associate degrees, start their career in hospitals and clinics doing record-keeping, mastering the phone system and checking patients’ vital signs. This first year exposes them to various specialties in the Nursing sector and would aid in their determining which area they would want to specialize in. Though the Bachelor of Science in Nursing emphasizes community health, leadership, and evidence-based practice, it is the path less chosen due to the length of time and costs associated with the program. BSN graduates earn more and have better opportunities than associate degree nursing graduates. This fact is the principal reason many nurses transition to the BSN degree after completing the associate degree in nursing. The associate’s degree in nursing program offered in Nebraska’s community colleges produces graduates who can fill the critical needs for nurses in the health care system. Students learn the art and science of nursing by a blend of theory and clinical courses designed to supply the clinical skills needed to fill this entry-level area of nursing. The theory covers the nursing process and critical thinking, nursing science, pathophysiology of disease processes, pharmacology and nursing practice, intravenous therapy, nursing’s role, health assessment and health promotion, mental health nursing adult nursing, family nursing, and medical-surgical nursing. State-of-the-art simulations will help students develop the clinical skills to use in a real-world setting during the clinical practicum where they will care for patients under the supervision of experienced nursing faculty. The associate degree program may be completed in two years. Part-time and full-time options are available. A practical nurse seeking career development may apply for advanced placement and complete the requirements for an associate degree in 12 to 18 months. Graduates of the program will be eligible to take the NCLEX-RN for licensure as a registered nurse. For up-to-date information regarding the requirements and registration process for admission to a registered nursing program in Nebraska, attend a scheduled information session arranged by the School of Nursing. Admission to nursing programs is very competitive. Each school will have a specific system for determining the eligibility of candidates for admission. Experience in healthcare, above average ATI TEAS scores, GPA, and completion of the prerequisite nursing courses may improve your chances of acceptance. A high school diploma or GED is an essential requirement for admission to the associate’s degree program. A high school diploma or GED equivalency. Official transcripts for college courses with a cumulative GPA of 2.0 or above. Complete the prerequisite courses with a grade C or above; microbiology, sociology, human anatomy, general chemistry, writing and composition, general psychology and algebra. Pass a drug screening (negative result). Bachelor’s Degrees require more time and money that the Associate’s degree. However, that does not change the fact that tuition for any degree is costly. The average cost for ADN programs in Nebraska is $15,500. The cost does not include application and registration fees, lab supplies, cost of textbooks, fees for completing the CBC and drug screen requirements, cost of insurance, parking, uniform, and clinical supplies. To get the most out of your education, check the list below to ensure that the program/college you choose has the full approval of the Board of Nursing and is accredited by a national accrediting agency. There are student grants and loans that you may be eligible for; these will assist in decreasing the out-of-pocket costs and allow you to complete your degree. Anyone practicing as or using the title of a registered nurse in Nebraska must hold a valid license from the Nebraska Board of Nursing. Since Nebraska is a member of the Nursing Licensure Compact, a nurse who holds an active, unrestricted nursing license from a member state may be allowed to practice without an additional licensure. A Nebraska license will not be issued to a candidate who resides in a compact state and is not moving to Nebraska. A single-state license, valid only for Nebraska, will be issued to a candidate who lives in a non-compact state. All candidates for licensure must complete a criminal background check. Fingerprint cards are available at any State Patrol office or law enforcement agency in Nebraska. The Nebraska Department of Health and Human Services facilitates submissions of online applications for licensure as a registered nurse. Paper applications are also available. Download the form online and print the application on quality paper. Complete all sections of the Application for a Nursing License by Examination. Check the type of license that you are requesting. Enclose the license fee of $123. Make check or money order payable to “DHHS, Licensure Unit.” Your license fee may be $30.75 if you request a license close to the expiry period. Provide a photocopy of one of the requested documents indicating lawful presence in the United States. Examples of acceptable documents include a birth certificate, U.S. Passport, American Indian Card, Certification of Report of Birth, U.S. Citizen Identification Card, etc. If you are qualified alien or a non-immigrant, you must provide a photocopy of your Green Card or a Form I-94 and an unexpired foreign passport with a valid, unexpired US visa. Request an official transcript, which shows your nursing degree and date of graduation to be sent directly from the school to the Department of Health. You may submit the transcript you’re your application if it is submitted in a sealed envelope from the school. If you completed the program outside of Nebraska and your final transcript does not list your nursing prerequisites, you must submit transcripts from all institutions from which you earned credits for your nursing degree. Submit a full set of fingerprints. Pay the fingerprint fee of $45.25 directly to the Nebraska State Patrol. This fingerprint processing may be submitted online at ne.gov/go/nsp or mailed to NSP. Provide a recent wallet-sized photo of yourself. Sign your name across the across but not across your face. Supply conviction information. All misdemeanor or felony convictions must be reported on the application. If you have misdemeanor or felony convictions to report, you must submit a certified copy of the court record, your explanation of events, evaluations/discharge summaries, and a letter from your probation officer addressing the terms and current status of probation. Provide details of other licensing information if you hold or have held other credentials to supply health-related services in any state other than Nebraska. Documents written in a language other than English must be accompanied by a completed and notarized translation into the English language. Register for the NCLEX examination online at pearsonvue.com/nclex/ or by phone 866-496-2539. The Licensure Unit will notify Pearson Vue after they have received all documents and your application is complete. The processing time for applications is approximately 8 to 10 weeks from receipt of a complete application. Fingerprint processing is approximately 4 to 6 weeks. If you have passed the NCLEX or the SBTPE and hold licensure as a registered nurse in another state or jurisdiction, you may be eligible for licensure by endorsement in Nebraska to practice within the state. Complete all sections of the Application for a Nursing License by Endorsement. Check the type of license that you are requesting. Complete verification of licensure. You may register with Nursys online to complete the verification online. If the state you were originally licensed is not listed on Nursys, you must send the Nebraska Verification of Licensure Form (included in the application packet) to your original state of licensure to be completed. The licensing agency should return the form directly to the Nebraska Board of Nursing. There may be a fee for the verification. Provide documentation of competency using one of the following criteria: a) 500 hours of nursing practice in the last 5 years b) graduated from a nursing program within the past 5 years, or c) have completed a Board-approved refresher course within the past 5 years. Note: If you hold an active, unrestricted license in a state that is a member of the Nurse Licensure Compact, you may practice in Nebraska without obtaining an additional license. Practice must be temporary or as a commuter from a Compact state. 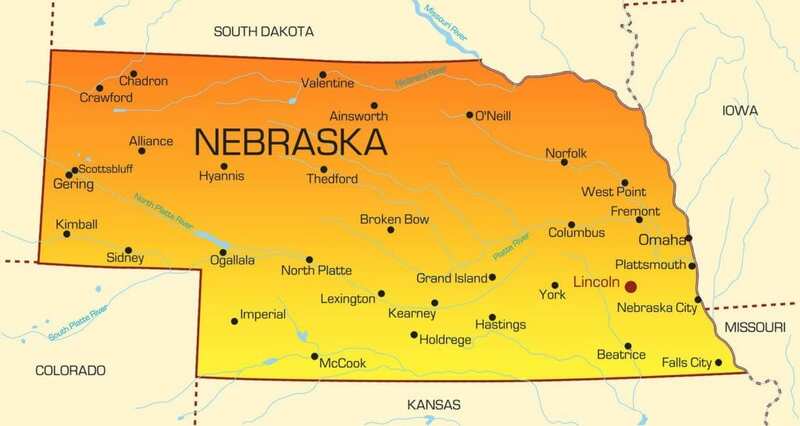 If you plan to move to Nebraska, you need to obtain a license to practice from the Nebraska Board of Nursing within 30 days of your relocation to the state. The Nebraska Board of Nursing will issue a temporary permit to endorsement candidates who hold an active license in another state and have no disciplinary actions on the license. The temporary permit will be valid for 60 days or until the licensure issued by the other state expires. If you graduated from a nursing education program outside the United States, you must complete the following in addition to the requirements listed above. Documents from the CGFNS must be sent directly from the CGFNS or the Canadian licensing authority or another approved Credentialing Evaluation Service to the Nebraska Board of Nursing. A registered nurse’s license will expire on October 31st of even-numbered years. You must submit the renewal notice, renewal fee, and attest to completing the continued competency requirements to renew your license. The Board of Nursing imposes a fee of $10 per day for every day a registered nurse practices beyond the expiration of the license. The maximum fee is $1000. Additional disciplinary action may also be imposed. The following continued competency requirements or waivers must be completed in order to renew a license. Practice at least 500 hours as a registered nurse in the past 5 years and complete at least 20 hours of continuing education within the past 2 years. Four out of the 20 continuing education hours must be from CPR or BLS and 10 of the hours must be peer-reviewed. Courses may be taken via internet or home study. Graduated from a nursing program within the last 2 years. Developed a portfolio of continuing competency goals including the completion of professional activities to meet those goals. Continuing education is not required for registered nurses who obtained a license in the past 24 months. Nebraska’s health care system is in a crisis as older nurses are poised to retire over the next decade. This mass retirement is expected to come at a time when demand for health care is most needed. 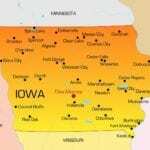 Hospital expansions across Nebraska and the increasing need for nurses in community and home settings bring home the realization that the current workforce is not sufficient to meet the state’s needs for professional nurses. The Bureau of Labor Statistics projects over 1 million job openings by 2024 to fill new positions and replace existing nurses. In Nebraska, the Center for Nursing projects a shortage of 4,000 nurses by 2020. Nurses are needed to work in the communities to emphasize disease prevention and promote health. Although cycles for supply and demand can change suddenly, nursing remains a go-to career because graduates are getting hired within months of licensure. Even during a recession, nurses generally have a sense of security. According to a workforce report published by Nebraska’s Hospital Association, there is a 10.6 percent vacancy rate for registered nurses at hospitals. Critical care and operating rooms are the most affected areas, but there’s also a huge demand for nurses outside the hospital setting. The shortage of nurses is troubling for health care providers but comforting for new and existing nurses who stand to benefit from ready employment, sign-on bonuses, tuition reimbursement, and opportunities for advancement. The salary for nurses varies with experience, type of degree, and location, but is generally good in Nebraska. The salary is on par with the national average when adjusted for the cost of living. The median wage for registered nurses was almost $60,370 in Nebraska according to a 2016 report from the U.S. Bureau of Labor Statistics.